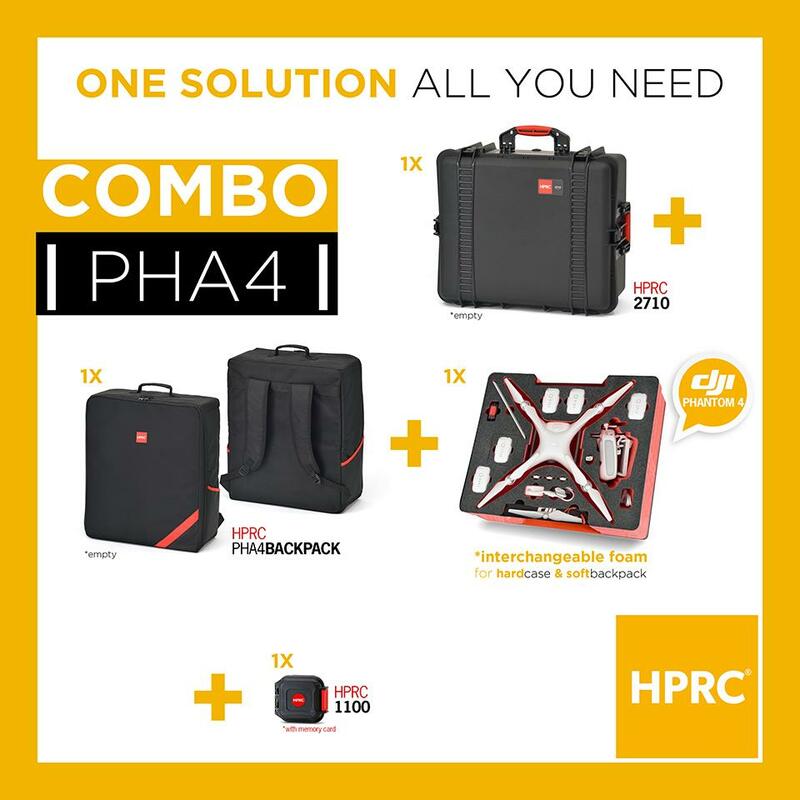 COMBO is the new solution thought by HPRC to carry safely your 4 Phantom. With Combo, you'll receive an HPRC2710 resin case, a SOFT BAG, and a special foam for your Phantom 4 + HPRC1100 to hold your memory cards. The foam is interchangeable, so you can decide whether to carry your drone with the resin case or with the soft bag, according to your needs. COMBO is the ideal choice if you need versatility and also allows you to save money compared to the cost of the items purchased individually.